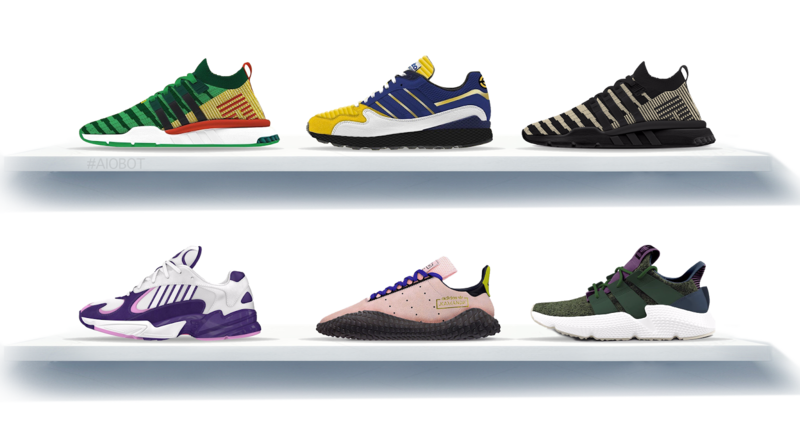 adidas Originals has announced that it is working with the creators of popular anime series Dragon Ball Z to create seven sneakers inspired by iconic characters from the series' history. Dragon Ball Z has transcended the world of anime and mange, reaching global icon status within contemporary pop-culture. This collaboration will see three of the most iconic battles between heroes and villains throughout the series re-imagined in sneaker form. Kicking off with the legendary battle between two of Dragon Ball Z’s most recognizable faces, Son Goku and Frieza, the collaborative project begins with the ZX 500 RM and Yung-1 respectively. Following this, the project moves to Son Gohan and Cell who are depicted in sneaker form as Deerupt and Prophere. Representing the final battle in the project, the Ultra Tech and Kamanda silhouettes are made-up in the image of Vegeta and Majin Buu. With the culmination of all 7 Dragon balls, the collaboration will be finished with the appearance of Shenron the Dragon, which is re-imagined as the EQT Support Mid ADV PK. Each release will include two silhouettes (one hero and one villain), dropping monthly from September to December. Each shoe will also come with special packaging which will feature an individual Dragon Ball detail, each box coming together to create a singular back cover design - a homage to the tapestry-like images found on the spines of the original Dragon Ball magazines.